On November 9 the weather was not ideal, it started off warm and breezy, became windier still and then the temperature dropped by 30F as a light rain started to fall and became progressively colder and heavier as it changed over to wet snow. Despite the nasty conditions, a dozen hardy PACCSA volunteers showed up to help. We first replenished the wood rack inside the main warming hut before turning to the trails. Our crew managed to clear out every drainage ditch and culvert on the Red, Blues, Greens and some of the Orange. We also cleared limbs and debris from those same trails, as well as the Yellow. A number of downed trees were removed by our chainsaw crew. 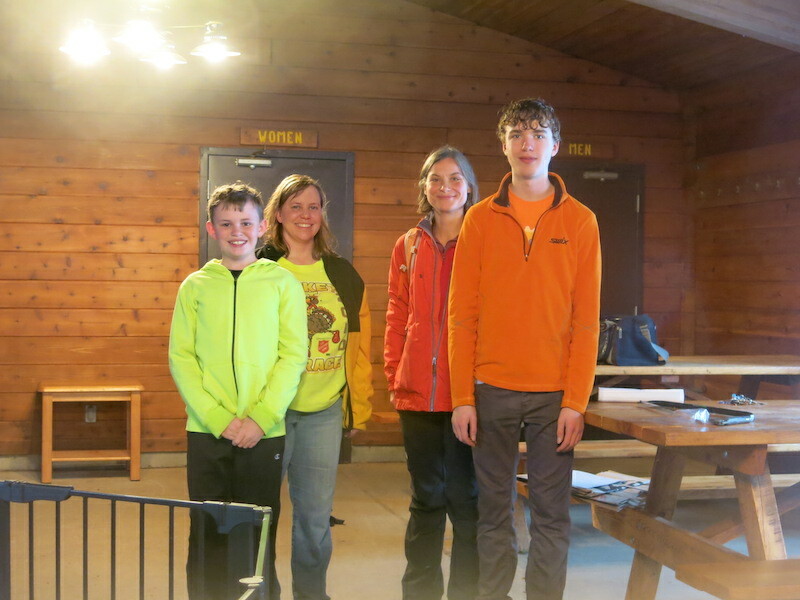 Afterwards, as we dried off in the warming hut, we enjoyed burgers, hotdogs and fellowship, looking forward to a snowy winter. When we left, the trails were in good shape and ready for the season.